For indirect tooth-colored inlays or onlays, typically requires two appointments. The dentist removes a very minor amount of tooth structure to maximize adhesion of the composite resin to the tooth, after tooth preparation, impressions are taken of your teeth and a replica of your mouth is created for the dental laboratory. A temporary filling is placed onto the prepared tooth for protection. 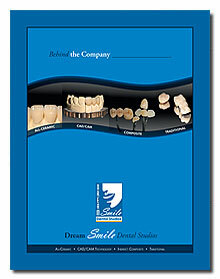 At the second appointment, the temporary filling is removed and the inlay or Onlay is secured with an adhesive agent. Depending on the dentist's bonding technique. A tooth conditioning agent may be applied to the prepared tooth, followed by the application of an adhesive agent and the laboratory fabricated tooth-colored resin. The tooth is fabricated to produce the desired aesthetic appearance and expose it to a special laser or curing light to harden the resin. 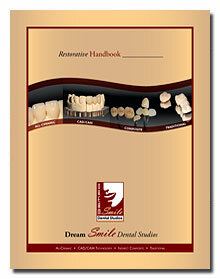 Care of Cosmetic Tooth Colored Fillings. 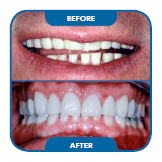 Teeth restored with inlays or onlays should receive the same meticulous care as natural teeth. Regular brushing, flossing, tongue scraping, and professional preventive treatments to maintain proper health and appearance.